#1 New Release on Amazon -- Who are the great women leaders in history? Who are the women heroes who personify "girl power"? Intrepid women heroes: When Nelson Mandela was imprisoned in South Africa's brutal Robben Prison, he tirelessly turned to the poem Invictus. The inspirational verse by the Victorian William Ernest Henley, penned on the occasion of the amputation of his leg. Still I Rise takes its title from a work by Maya Angelou and it resonates with the same spirit of an unconquerable soul, a woman who is captain of her fate. Just as Invictus brought solace to generations so does the contemporary classic. 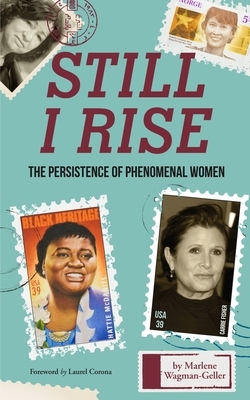 Still I Rise embodies the strength of character of the inspiring women profiled. Each chapter will outline the fall and rise of great women heroes who smashed all obstacles, rather than let all obstacles smash them. The book offers hope to those undergoing their own Sisyphean struggles. Intrepid women heroes are the antithesis of the traditional damsels in distress; rather than waiting for the prince, they took salvation into their own hands.